Update 4:00 p.m.: According to PG&E, the cause of the power outage affecting 285 customers, including Cal Poly, is now under investigation. The power was restored to all customers, except Cal Poly, by 10:11 a.m. Cal Poly’s power was restored incrementally due to the campus size and was completely restored by 12:30 p.m.
Update 2:45 p.m.: While an emergency alert sent by Cal Poly said the campus power outage occurred because of the two fires, Karly Hernandez with PG&E told KEYT Cal Poly’s outages were not caused by the Reservoir Fire and an “equipment issue” on Cal Poly’s end may have been involved. The fire is now at 90 percent containment, according to Cal Fire, with 51 acres burned across the two fires. Crews remain on the scene. #ReservoirFire (update) fire GPS’d at 51 acres for the 2 fires now 90% contained. Crews continue to mop up in the heavier vegetation and trees that burned. Update 12:31 p.m.: Power has been restored to all areas of campus. 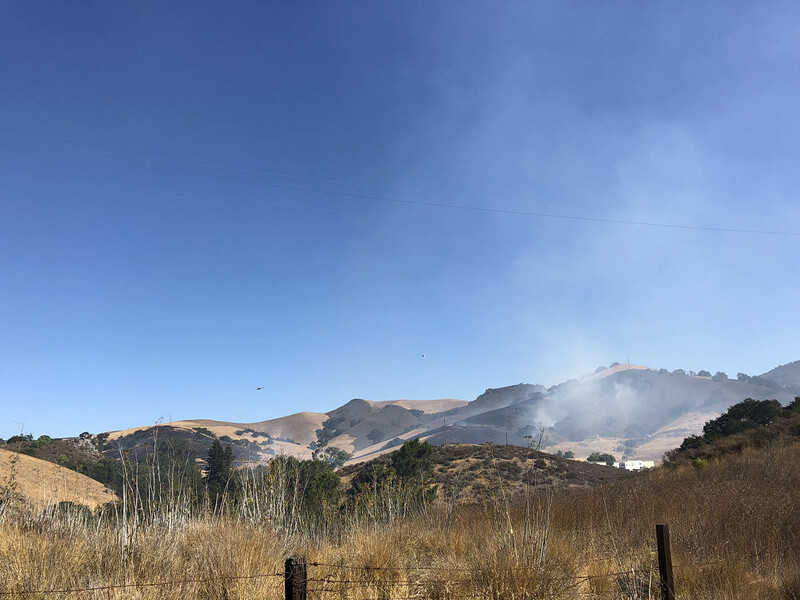 Two brush fires burning north of Cal Poly are now 60 percent contained at a combined 50 acres after causing a power outage across campus, according to Cal Fire. All forward progress has been stopped. There is currently no estimate for restoration of power to campus. According to an emergency notification sent by Cal Poly, all Week of Welcome (WOW) and on campus move in activities are proceeding as planned. Helicopters and planes are working to extinguish hot spots and no structures are threatened. Crews will be on the scene for the next several hours, according to Cal Fire Public Information Officer Chris Elms. The fires started early this morning and the cause of the fires is under investigation, according to Elms.